I just wanted to mention this: WordPress’ new Fruit Shake theme has made me very thirsty for some healthy and natural drinks. Just looking at the creamy colors and fruity headers has got my mouth a’watering for a cool fruit smoothie! As a person who is trying to improve her health and her life, this is good news indeed. I’m going to go out and get me some blueberries, bananas, yogurt, soy milk and ice and make me a blender full of cold, creamy, healthy fruit goodness. 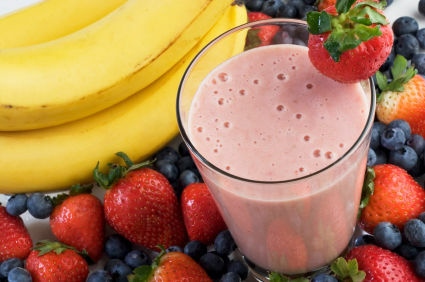 Forget those chips and candy bars, I want a Fruit Shake!